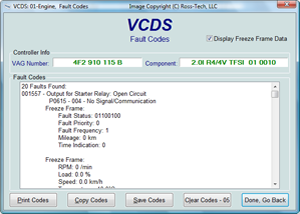 diagnostics for VW-Audi Group vehicles. "As essential as a torque wrench"
An example of data collected with VAG-COM and plotted with Excel. 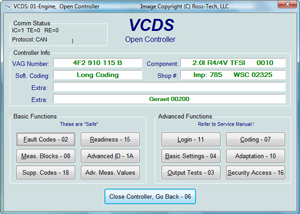 Unless otherwise noted, all content on this site is Copyright � 2000-2015 by Ross-Tech LLC. All rights reserved.